Two aviation companies and their executives have filed separate lawsuits accusing their former business partners of conspiring with global conglomerate United Technologies Corp. and its subsidiary, aerospace manufacturer Pratt & Whitney, to fraudulently steal away hundreds of millions of dollars in potential business. Irving-based AerReach Aero Space Solutions and Oklahoma-based Principal Aviation Group claim in separate complaints in state district court in Dallas that they were victimized by their own business partners, who made secret and illegal financial deals with officials at United Technologies and Pratt & Whitney. The first details of the alleged scheme surfaced last Friday when Principal Aviation Group, a boutique private equity firm, sued two of its former executives -- general counsel Chad G. Stanford and vice president for sales Ted Glassman -- and two businesses they created for breaching their duties, interfering with a business relationship and fraud. The lawsuit accuses the pair of using their insider positions at Principal Aviation Group to steer 11 contracts valued up to $500 million to a competing business that they covertly created and operated. In a second lawsuit filed Monday, Dallas airline industry veteran Robert Hogan, a former director of commercial serviceable assets at Pratt & Whitney, claims that Stanford and Glassman used "fraud, manipulation and greed" to exclude him and the company he founded, AerReach, from a deal that promised hundreds of millions in revenue and $80 million in profit. Both lawsuits say officials at Connecticut-based United Technologies, which reported $56 billion in revenue in 2015, and its Pratt & Whitney business unit, which has significant operations in Grand Prairie, "assisted, encouraged and participated" in a conspiracy to commit fraud devised by Stanford and Glassman. "The allegations in this lawsuit and the amount of money cited are only the tip of the iceberg," said Darren Nicholson, a Dallas lawyer who represents Hogan and AerReach. "This case is very personal for my client. It broke his heart to learn that his two business partners -- men he truly trusted -- and the company he devoted his life to for 27 years had done this to him." Efforts to obtain comments from Stanford, Glassman, Pratt & Whitney and United Technologies were unsuccessful. The two lawsuits, filed by different Dallas law firms, tell parallel stories that, if true, provide extraordinary insight into a legal and financial scheme that brazenly preyed on friendships and personal business relationships in a highly nuanced but extremely lucrative marketplace. "PAG was systematically robbed of the lifeblood of its existence -- its own business opportunities," Dallas trial attorney Michael Lyons, who represents Principal Aviation Group, wrote in the complaint. "Ironically, some of the perpetrators involved in this scheme were the very individuals hired and paid to develop and safeguard PAG's business." The story begins in 2010, when Principal Aviation Group founder Clay Healey hired Stanford as its general counsel because of his expertise in aviation law and his close relationship with Hogan at Pratt & Whitney, which Healey hoped would lead to lucrative business opportunities. Over three years, Principal Aviation Group inked nearly a dozen consignment agreements in which it bought jet turbine engines and jet engine parts from Pratt & Whitney, but then immediately assigned those assets back to Pratt & Whitney, which maintained possession and control of the assets at its Grand Prairie operation until a third party eventually acquired the engines. The arrangement, according to court documents, allowed Pratt & Whitney to remove inventory from its accounting records as sold and recognize revenue in that fiscal year. In March 2012, Hogan retired after 27 years at Pratt & Whitney and started aviation consulting firm AerReach. Mike Coleman, a sales manager, replaced him as Pratt & Whitney's primary contact for Principal Aviation Group. Hogan claims in the lawsuit that he rejected an offer from Stanford in April 2012 to join AerReach because Hogan felt that Stanford's position as Principal Aviation Group's general counsel created a conflict of interest. Three months later, Stanford and Glassman formed a separate business called Turbine Asset Holdings -- a firm that court records claim was created to secretly compete with their own employer for business. Between 2013 and 2015, the Turbine Asset Holdings team persuaded Pratt & Whitney to steer 11 deals to them valued between $187 million and $500 million -- transactions that Principal Aviation Group wanted but failed to land. Healey, concerned that Pratt & Whitney was no longer sending Principal Aviation Group business, sent Stanford to Dallas to meet with Pratt & Whitney and Coleman to find out if there was a problem. "All is okay," Stanford wrote Healey. "Money will be forthcoming [from Pratt & Whitney]." In Principal Aviation Group's lawsuit, Lyons wrote that "these statements would turn out to be lies designed to deceive and permit Stanford and Pratt & Whitney to continue to unlawfully conduct business" in competition with it. The lawsuit contends Stanford and Glassman "systematically intercepted and converted business opportunities" while collecting paychecks and learning of new opportunities through their employer's position in the market. "Stanford utilized his position as general counsel to access Principal Aviation Group's most sensitive proprietary information and secrets and then unlawfully funnel it to Glassman to use for their own benefit," Principal Aviation Group's lawsuit states. At about the same time, Stanford persuaded Principal Aviation Group to hire Glassman as a corporate vice president. In January 2015, Stanford and Glassman told Hogan they were cutting ties with Principal Aviation Group and convinced him to become an equal partner in Turbine Asset Holdings in exchange for his expertise in helping the company land new consignment contracts, according to court records. Two months later, Hogan presented his new partners with a potential $500 million deal in which Turbine Asset Holdings would buy used aircraft engines from Pratt & Whitney, allowing the aerospace company to remove those assets from its books for five years but still retain control of the assets through a service provider agreement. Pratt & Whitney gave the deal the code name "Waypoint" and predicted that Turbine Asset Holdings would see a net profit of $80 million. Hogan, in his lawsuit, said he worked tirelessly for months to secure the transaction. In September 2015, Glassman and Stanford informed Hogan by email that Pratt & Whitney had completed the deal with a competitor. "There will be other deals and we'll figure out how to make it happen ... you are my partner and we're brothers," Glassman wrote Hogan in an email that was cited in the lawsuits. At a February 2016 meeting in Dallas, Hogan asked his partners to name the company that landed the Waypoint deal. Glassman, according to court records, remained silent, but Stanford responded, "We don't know who Pratt & Whitney did the deal with, so let's not beat ourselves up." Legal documents show that Hogan learned later that month that the competing company was JSS Holdings Group, a business Stanford and Glassman formed without his knowledge. Hogan claims JSS Holdings "utilized the exact same information, data, work product and knowledge" that he developed for Turbine Asset Holdings' pitch to Pratt & Whitney. 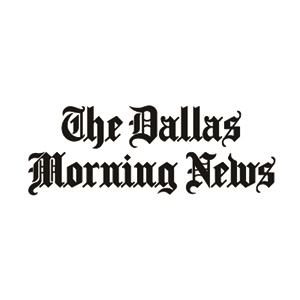 "Bob Hogan knows more about the airline industry than perhaps anybody, and the defendants knew this when they brought him in under false pretenses before working in the shadows to illegally shut him out of millions of dollars," says Nicholson, who is a shareholder at the Dallas litigation boutique firm Sayles Werbner. "It really turns your stomach when you see some of the text messages and emails that Bob received and compare those to what actually happened," he says. Principal Aviation Group, in its lawsuit, says that it learned about "Stanford and Glassman's nefarious dealings" in March 2016. CEO Healey claims that he confronted Pratt & Whitney's Coleman, asking him if he was doing side deals with Principal Aviation Group employees. "In response, Coleman stated this was 'confidential' and refused to discuss it," Lyons states in the legal filings. "Later that evening, PAG terminated Stanford and Glassman's employment." For a longer version of this article, visit TexasLawbook.net. AerReach Aero Space Solutions: Aviation consulting firm founded by Dallas airline industry veteran Robert Hogan. Mike Coleman: Sales manager at Pratt & Whitney who replaced Hogan as the primary contact for Principal Aviation Group. Ted Glassman: Former vice president of sales for Principal Aviation Group who later competed with it with Chad Stanford. Clay Healey: Founder of Principal Aviation Group. Robert Hogan: Former director of commercial serviceable assets at Pratt & Whitney who filed a suit against Stanford and Glassman for using "fraud, manipulation and greed" to exclude him and his company, AerReach, from a deal that promised hundreds of millions in revenue and $80 million in profit. JSS Holdings Group: Company formed by Stanford and Glassman. Michael Lyons: Deans & Lyons LLP attorney who represents Principal Aviation Group. Darren Nicholson: Dallas lawyer with Sayles Werbner who represents Hogan and AerReach. Pratt & Whitney: Subsidiary of United Technologies with large operation in Grand Prairie. Principal Aviation Group: Private equity group based in Oklahoma filed one of the suits against its former employees, Stanford and Glassman. Chad G. Stanford: Former general counsel for Principal Aviation Group who's accused in two suits of conspiring to commit fraud with Ted Glassman. Turbine Asset Holdings: Business formed by Stanford and Glassman. United Technologies Corp.: Connecticut-based parent company of aerospace manufacturer Pratt & Whitney. United and Pratt are accused in two suits of conspiring with Chad Stanford and Ted Glassman.